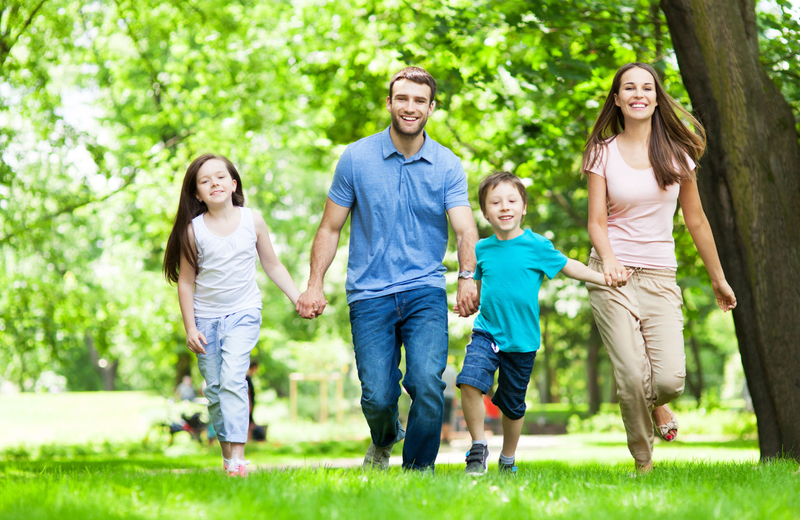 Everybody enjoys fun family events to attend when living in Mountain View apartments for rent. It doesn’t really matter if you live in a gorgeous luxury apartment or your typical run-of-the-mill place for average Joe’s and Jane’s, because we all want to kick back, relax, and have a good time with our family and friends. One way to do this is to attend the Spring Family Parade being held in Mountain View California in 2018. Not only is this a great place to go to have a fun time with your family, but it’s also an excellent way to connect with other members of your community so you can have a good time with friends and neighbors as you get to know one another better. And your kids are going to love it because they get to interact with other children in the neighborhood and enjoy the festivities while having a fantastic time laughing and playing with local neighborhood kids their own age. Remember parents, your kids do not want to stay cooped up in the house all the time. So you have to take advantage of exciting spring parades and other events in your community as often as possible. Let the kids go and enjoy themselves so they can get out of the house, take in the fresh air, meet new people, and ultimately have a lot of fun spending time outdoors. Otherwise they’re going to spend all their time looking at video games and YouTube videos on their tablets or phones and it’s good to give the kids a break from these devices every once in a while so they can interact in the real world and experience life instead of looking at it on the screen. With that said, we’d like to tell you a little bit more about this special event. So we’re going to share some of the most important details with you below so you can get a better idea of what to expect on the day of the parade. If you have any other questions or concerns, we highly recommend checking out their FAQ PDF because it answers a lot of questions about the parade and it tells about what to expect, what’s allowed and what isn’t, and so much more. So let’s get into the important details right now. When Is the Spring Family Parade in Mountain View California? In 2018, Mountain View California is hosting the 40th Downtown Spring Family Parade. This exhilarating family event is going to be held on Saturday, April 21 at 10 AM and it will end at 1 PM. The parade is going to begin at Castro and Villa streets and post parade activities are going to take place in Pioneer Park. There’s plenty for everyone to do at this wonderful event as you are about to find out, and there will be lots of games, arts and crafts, food, live music, and plenty of sensational businesses are going to sponsor this fun local event. So don’t worry about a thing and remember to get together with your family to attend this wonderful day. It truly is a thrilling Mountain View event that we would love to have all local residents attend. Lastly, if you plan to walk in the parade, you should get there by 9:45 AM to give yourself an extra 15 minutes to prepare for the event. By showing up early, you will be able to find your place before the parade starts and this will ensure that it starts on time and nobody gets held up. Do I Have To Spend Any Money to Watch or Participate in the Parade? Some people have expressed their concerns about whether or not they have to pay money to go to the Downtown Spring Family Parade. Truth be told, you do not have to spend a single cent if you want to attend this event as a spectator. On the other hand, if you’d like to showcase your business at the parade, there are a couple of different ways you can go about this. You can pay a $25 fee for nonprofit organizations to provide their information to spectators. They will put out your pamphlets on a table along with the pamphlets from other local businesses. If you are a regular for-profit business, it will cost about $150-$250 to buy one of their sponsorship packets. To find out more about sponsorship, please visit this location on the web to get all of your questions answered. Are Pets Allowed to Participate in the Parade? Believe it or not, they are very happy to let your pets attend and participate in the parade. They must be on a least though and all animals have to be kept under control. If you cannot control your pet for some reason or other, you are going to have to leave the premises because we do not want your pet to become a risk for other people attending the event as well as the participants. What Can I Expect to Happen at the Post Parade Event in Pioneer Park? When you head to Pioneer Park after the parade, there’s going to be lots of rousing activities going on for everyone in attendance. You’ll be able to participate in many of these activities as well, and the kids are absolutely going to love them because there’s so much for the youngsters to do. For starters, they can participate in arts and crafts activities while they are here. There’ll be lots of exciting things to do so if they’re into arts and crafts, this is definitely going to be fun for them. Also, live music is going to be playing throughout the event so you’ll be able to sing and dance and have a good time while listening to live bands play. There will also be lots of games and food trucks so you’ll have lots of fun and you’ll never walk away hungry from this incredible experience.